When journalist John Scott worked with his hands, it was not just to type his eight books, scores of white papers, and countless Time magazine articles. Scott began his career a welder in Russia, and later, when he came to Ridgefield in 1948, built his stone-and-wood Peaceable Ridge home with his own hands. 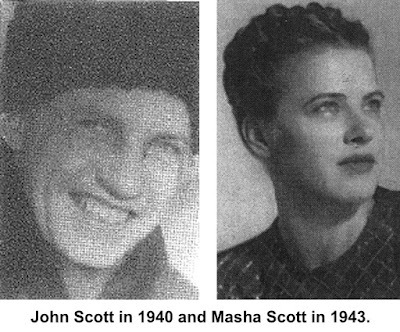 The son of the liberal social reformer, Scott Nearing, John Scott Nearing was born in Philadelphia in 1912. He dropped his father’s name after a disagreement and left the University of Wisconsin after two years because of financial problems. It was during the Depression and, intrigued by communism and socialism, he decided to learn electric welding at the General Electric school in Schenectady, N.Y., and, after unraveling a lot of red tape, headed for Russia. There, at age 20, he began working in a Urals factory as a welder. After several years, he became a foreman and finally a chemist. life, was working on a doctorate in Russian language. Scott lost his job in Stalin’s 1937 purge, but he remained in Russia as a French and British news correspondent. Two weeks before the German attack on the USSR in 1940, he was expelled from the country for “slandering” Soviet foreign policy and “inventing” reports of Soviet-German tension. He soon began covering World War II as a correspondent for Time magazine, and was in Japan in 1941, just before Pearl Harbor. 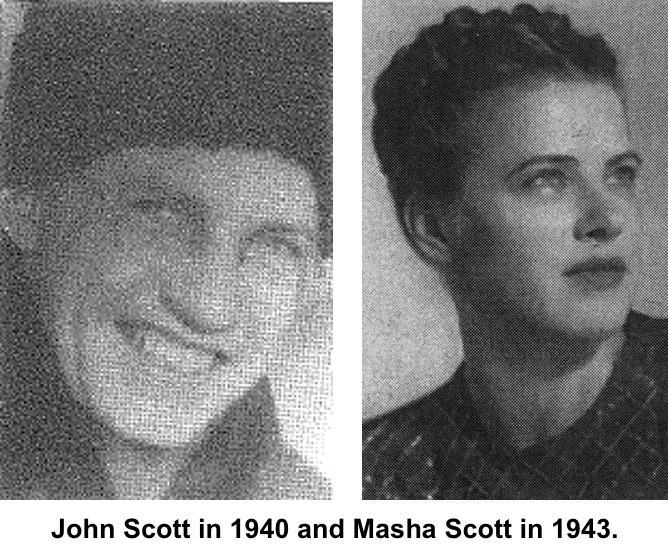 In 1942, Scott became a staff writer for Time’s foreign news section and during much of the war, headed Time-Life’s bureau in Stockholm. After the armistice he reopened the Central European bureau, covering the aftermath of the war. There are reports that especially early in the war, Scott worked for the U.S. Office of Strategic Services, the predecessor of the Central Intelligence Agency, and had supplied the government with information on the Soviet war industry. Throughout and after the war, he delivered many lectures on world affairs, speaking before such groups as the Foreign Policy Association. 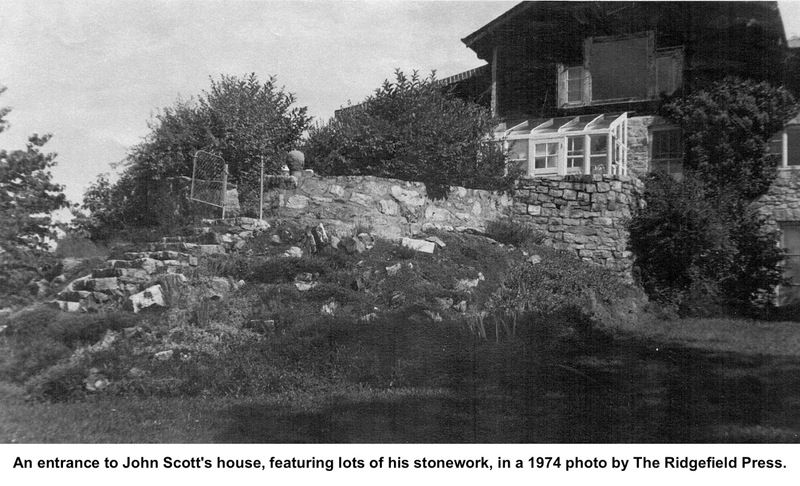 The grounds included many stone walls, a swimming pool and a tennis court. 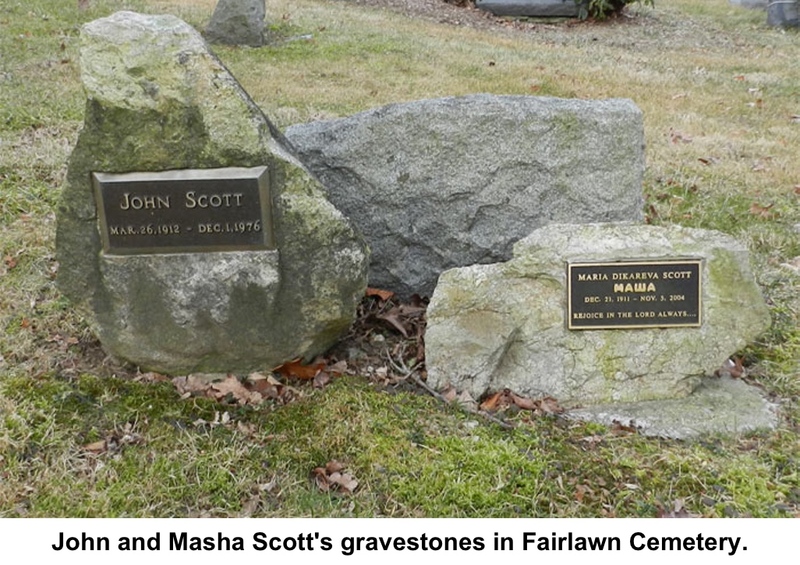 The Scotts often entertained friends and associates at dinner parties and outdoor poolside gatherings — Vice President Henry Wallace of South Salem was a frequent visitor. In 1951 he joined the close staff of Time-Life publisher Henry R. Luce, also of Ridgefield, and began in-depth reporting on crisis areas such as Latin America, the Soviet Union and the Middle East. Over 17 years he turned out 12 reports that Time distributed to leaders in government, education and business. 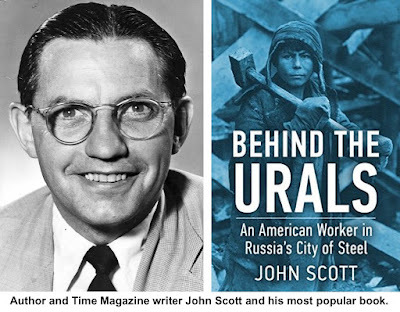 His first book, published in 1942, was “Beyond the Urals,” the story of his experiences in the Soviet steel mill, which the New York Times called “a genuine grassroots account of Soviet life” and “a rich portrait of daily life under Stalin.” It is still in print. Other books were “Duel for Europe” (1942), “Europe in Revolution” (1945), “Political Warfare” (1955), “Democracy Is Not Enough” (1960), “China, The Hungry Dragon” (1967), “Hunger: Man’s Struggle to Feed Himself” (1969), “Divided They Stand” (about East and West Germany) (1973), “Detente Through Soviet Eyes” (1974), and “Millions Will Starve” (1975). Memorial Day address, supporting the United States’ involvement in the fast-expanding war in Vietnam. After his retirement from Time in 1973, he became vice president of Radio Free Europe and Radio Liberty, where he would also sometimes appear on the air. In 1974, he made “five broadcasts in Russian on hunger, beamed to millions of listeners from Leningrad to Odessa,” he told an interviewer. He also continued to lecture around the country. And it was while on a speaking tour in 1976 that he suffered a stroke at the Lake Shore Club in Chicago and died at the age of 64. Masha Scott survived her husband by 28 years. She died in 2004 at the age of 92.